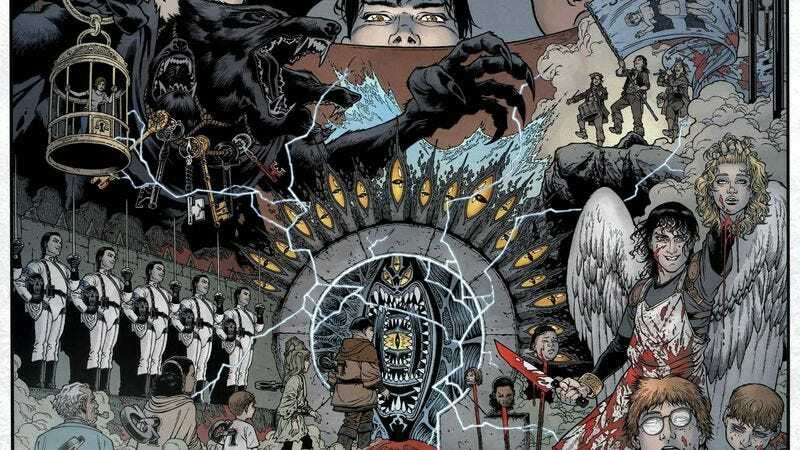 After years in development, with one attempt getting rejected by Fox in 2011, it looks like the Locke And Key TV show is happening once again. According to The Hollywood Reporter, Carlton Cuse is developing a Locke And Key pilot for Hulu now, with Lindsey Springer and Doctor Strange director Scott Derrickson joining him as executive producers. If the project gets picked up, Cuse will serve as showrunner. That’s a big “if,” given the history of attempts to adapt Locke And Key, but this one seems like it has a better chance than the others. Cuse is a big name in the world of genre TV, given that he worked as co-showrunner on Lost with Damon Lindelof and helped write a big chunk of the episodes. He’s also the showrunner for Bates Motel and The Strain, so he has plenty of experience with horror stories and twisty narratives. Plus, the original Locke And Key book was written by Joe Hill, who happens to be the son of Hulu favorite Stephen King. Hulu apparently won the rights in a “competitive” bidding war against Netflix, HBO, and FX, so it’s probably in the streaming service’s best interests to make the show happen. This current iteration of the Locke And Key TV project has been in the works since May of last year, when Joe Hill and IDW Entertainment started working on a new pilot. The original books—and presumably the TV show—are about a family that escapes a serial killer and goes to live in the old family home in Lovecraft, Massachusetts, only to discover that the house contains scary magic doorways opened by magical keys. UPDATE: Entertainment Weekly is now reporting that Doctor Strange director Scott Derrickson will also be directing the pilot, in addition to acting as an executive producer.